Janssen, the Pharmaceutical Company of Johnson & Johnson, is one of the leading companies in research and one of the fastest growing companies in the world. The name Janssen makes reference to Dr. Paul Janssen, founder of our company, who dedicated himself to pharmaceutical research in Belgium over half a century ago. 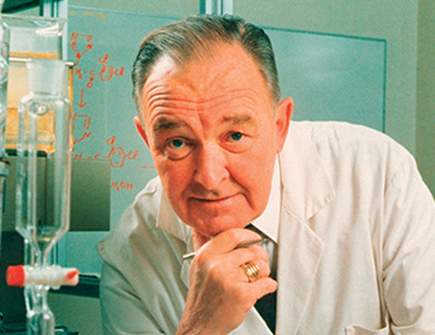 Dr. Paul Janssen was talented, passionate and pioneering scientist, but before all, a doctor concerned about helping the patients. His combination of scientific excellence and a profound concern for humanity, still inspires us today to increasingly strive harder. Janssen became part of the Johnson & Johnson family of companies in 1961. Janssen groups companies with around 40,000 employees in over 150 countries in the world. In Latin America, Janssen has offices in Mexico, Brazil, Colombia, Panama, Peru, Argentina, Chile and Uruguay. It has presence in Bolivia and Paraguay. Janssen has presence in 25 countries in Central America and the Caribbean. Throughout these years and in compliance with our mission, our pharmaceutical products have significantly contributed to the wellbeing and improvement of the quality of life of many people throughout this region.